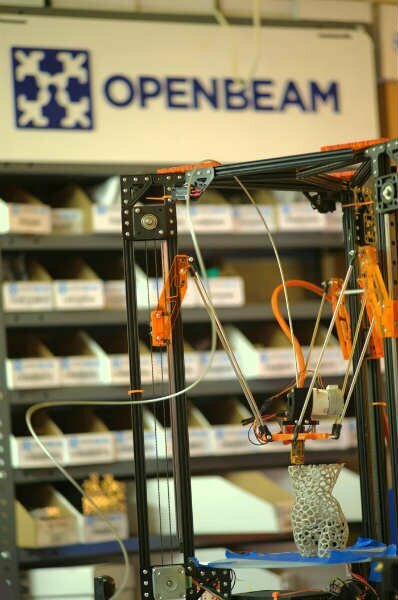 Based on the delta configuration, the Kossel Pro is larger and is constructed with OpenBeams and no printed parts for better precision and longer life. Its build volume is 250mm diameter x 250mm height. I’m not sure if the Kossel Pro will be sold post its Kickstarter campaign.